Top 10 Free Android Emulators For PC To Try Now! Being a popular OS, Android has gone deeply into the hearts of users worldwide. Whether it is a high end flagship or a lower end smartphone, Android can be found in most of the devices. HD video playback and gaming need one of the potent hardware resources as compared to sending text messages, calling and browsing the web. That’s why Android smartphones with low specifications of the hardware do not succeed at meeting your expectations. There is nothing to worry because you can experience the use of Android using some alternate ways. There are android emulators for pc available, which help you in running the Android apps as well as game, improving your experience. 1.2 Android Emulator BlueStacks : It is at the number one position in the list of the best Android emulators for PC. It has some unique features, due to which it has obtained popularity all over the world. You can download it very easily. If you want to download Android apps or games, then it is also a simple process, by double tapping on the apk file. The games and apps can be downloaded from the Google Play Store directly. It also has a good UI, working on the layercake technology. Here we have collected Android Emulator Windows 8 / 8.1 / 10 and windows touch. From the below list click on Android Emulator Download and get your emulator downloaded. Android Emulator BlueStacks : It is at the number one position in the list of the best Android emulators for PC. It has some unique features, due to which it has obtained popularity all over the world. You can download it very easily. If you want to download Android apps or games, then it is also a simple process, by double tapping on the apk file. The games and apps can be downloaded from the Google Play Store directly. It also has a good UI, working on the layercake technology. Android Emulator Andy : It is one of the other well-known Android emulators for computers. With it, you can control screen with the mobile device. The interesting thing to know about it is that it supports the installation of any application via a desktop browser. To install it, you need to have Virtual box installed in the computers. This emulator is created for those who want to play Android games on the big screen on windows PC. This android emulator for pc is available with all features, which you can find in any of the Android devices. This emulator comes with resizing feature to any dimension. The keyboard can be used to play games as well as configuring the keyboard options. The best feature of Droid4x is that anything can be controlled via mobiles. Moreover, you can also record the screen while using any app or playing any game on the Windows big screen. It also gives you an option to use a joystick for playing games. This kind of Android emulator works faster as compared to Bluestacks as well as Andyroid. It is all because of its architecture virtualization being built on x86. After installing it on a Windows PC, you need to install the Android device on this emulator. It is an Android emulator made to test Android apps. Hence it is a helpful tool for Android app developers these days. Using this emulator can give you an option to copy any text from PC into it or vice versa. Moreover, any person can also install apps with the use of the command prompt as well as dragging and dropping. If you are an Android app developer, then it is the best emulator you are going to have in order to examine the behaviour of the app. This emulator is one of the unique ones in the list to run android applications on pc. It is due to the thing that this emulator runs with the help of the Windows Kernel. Using this Android emulator, there is nothing to get any external Virtualbox support such as Bluestacks. Moreover, it has some interesting features. It is a light weighted Android emulator, you can get than others. It means that you can carry it in an easy and safe manner. It is also important to make sure that the directory path, in which you install it, must be free from spaces. It is one of the least popular Android emulators, but with great features. It is really a good emulator to use. You can get the latest Android experience on your computers completely free of cost. It has been developed by one of the popular programming service oriented companies with main focus is on developers. Of course, it also does not need Virtual box to be installed. It is a great competitor of YouWave in the market. That’s why it comes up with a free trial offer for one month; even YouWave is also in this category. It is more effective than YouWave. It is all because of its amazing features. Firstly, it supports multi-touch and pinch to zoom features, giving you the best experience on computers to use android applications on pc, which you have never had with others. It simplifies the PC gaming. It also supports Application and GPS compatibility. You can easily use it. Possibly, you might understand that the emulation platform was dependent on the popular Jelly Bean OS. There is nothing to follow like hard rules, while installing this Android emulator. Getting started with it, you need to download the apks. This emulator works with all platforms of Windows. The ratio of the work performance is surprisingly great. Most players like this emulator. It is also a free option, but will just run on windows version, such as 7, 8, and 8.1. You can easily use it by installing it simply on the desktop. Once after installation, it will get divided into two halves. You need to grab the application or game, you want to use. People like it very much because of its ease of use. In fact, it does not come under the category of Android emulator. This emulator is a windows based program, which helps you in creating virtual machines. You can run OS in a virtual environment with it. It also assists you in running Android games and apps using a virtual machine. To use any of them, you need to find the best place to have android games emulator for pc free download. 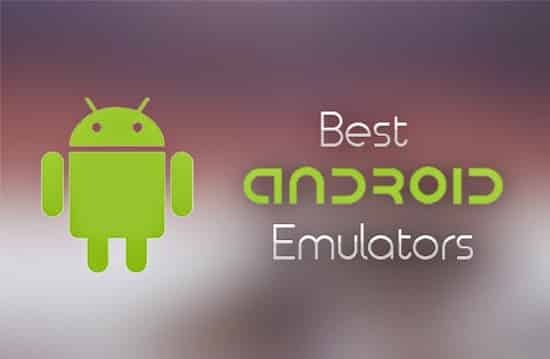 Download your favorite from list of Android Emulators For PC.